As The Invictus Games approach we follow the journey of Lee Matthews, a member of the GB Invictus Wheelchair Basketball team. History: Having a father in the Army meant I grew up all over the UK and in Germany. I joined the Army Air Corps in 2006 and served in many places including Afghanistan. Sport has always been a major part of my life, I played football, rugby and was a keen fisherman. Following an operation I developed nerve damage (visceral somatic syndrome) in my back which left me with mobility problems and severe pain. One of the hardest things initially to deal with was the lack of physical activity and sport, after all as a solider you are trained to “be the best” as such. Life became a real struggle for a while. However, during my rehabilitation I was sent to a Battleback centre in Lilleshall where I was introduced to wheelchair basketball. I instantly fell in love! 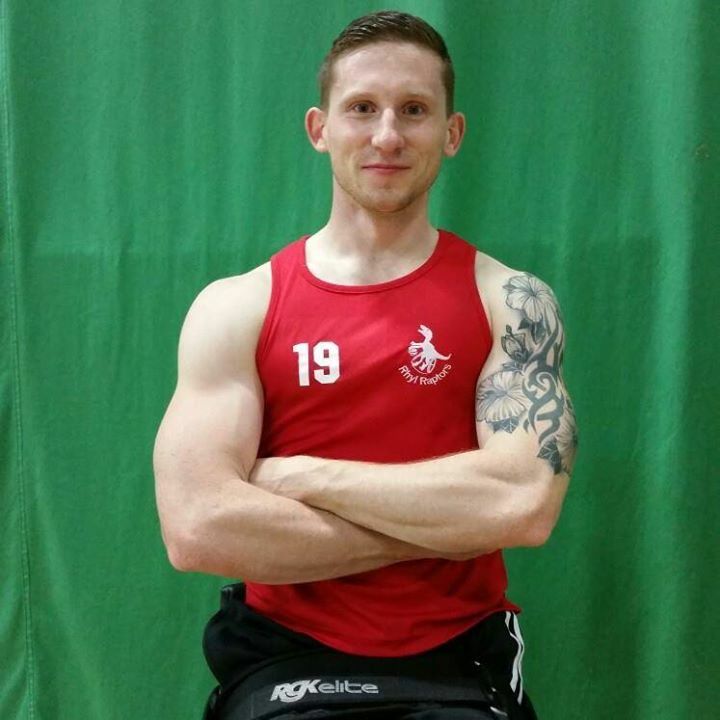 Wheelchair Basketball: After discovering Wheelchair Basketball I contacted and joined my local team, the Cardiff Celts, they were really welcoming and helped me develop a lot as a player. I have now been accepted to play for the Rhyl Raptors which I am really looking forward to, they are the team ‘to watch’ at the moment. I have had amazing support from the Army and charities such as Help for Heroes, and of course the Royal British legion who introduced the sport to me. The Invictus Games: Being selected for The Invictus Games felt amazing, the competition for places was really fierce and everyone gave it their all. We bonded as a team really quickly. We’ve had 4 weekend training camps and a week long one. We’re now in the holding camp in London, training for the big day. I’ve met Prince Harry and it is amazing to have his backing and passion behind these games. He is down to earth and really appreciates everyone’s individual stories and recovery pathways. The Invictus Games is really going to be an amazing once in a life time opportunity for injured servicemen to represent their country and to hopefully show others that you really can achieve whatever you want to, you are beyond injury. Future: I’m starting a degree in Marine Vertebrate Zoology at Bangor University later this month. While there I’m hoping to start a Wheelchair Basketball team and compete with other universities. I want to promote the sport as much as possible, helping my club gain promotion along the way. My aim as a whole is to promote disabled sport as much as possible. The power of sport is amazing and from personal experience I know it can really change lives. The Invictus Games opens on Wednesday and the Wheelchair Basketball is on Saturday. You can keep up with the games on the BBC.